Jane is the only daughter of Preacher Winston and meets Quinn in prison. They are not in love. They enter into a marriage of convenience that will benefit Jane, for Quinn likes her and since he is about to die on the gallows he can do her a good deed. But a twist of fate spares Quinn and now he and Jane must muddle through a marriage and becoming Duke and Duchess. Quinn is the rapscallion youth who has fought his way into adulthood and made it big in the banking business. He has been convicted of murder and sentenced to die. He is head of family to two sisters, Althea and Constance, and a brother, Stephen, the youngest at 17 and wheelchair bound. Quinn’s cousin, Duncan is tutor to Stephen and Quinn’s right hand man. Joshua is Quinn’s business partner and confidant. These are the fleshed out characters who will appear in future books in the series and I can’t wait to read their stories. There is slow developing friendship and romance between Quinn and Jane, no falling in love immediately which is a breath of fresh air. However, Jane is vested in this marriage and her role as wife and Duchess. Quinn’s focus is on revenge for his incarceration and Jane’s challenge is to make him focus on their future. Grace Burrowes wows me once again! This book is the first in her new Rogues to Riches series and it promises to be one of those where we cannot wait for the next book to publish. I can highly recommend this book and the multiple book boyfriends to be found in these pages. This is a well written novella with loads of Christmasy feeling. It is an enemies-to-lovers story. Not a new offering (December 2017), it is available on Amazon for Kindle and Audio at a really good price. This novella wraps up the Maiden Lane Series. It is a must read for all Hoyt fans and those who want a cozy fireside read for the holidays. In this book we are treated to Charlotte Windham’s romance with a man beneath her station, business man Lucas Sherbourne. They are found in a compromising situation and forced to marry but neither objected. They are taking their time getting to know each other but this is not without problems. Side characters from previous books in the series play important rolls in the dramas that ensue. A villain who is totally uncouth adds to the excitement. This is a standalone novel but it will encourage you to read the other books in the series. I highly recommend this book as well as this series. THEY CALL HIM THE DUKE OF MURDER…The gossips whisper that the new Duke of Murdoch is a brute, a murderer, and even worse–a Scot. They say he should never be trusted alone with a woman. But Megan Windham sees in Hamish something different, someone different. Ah, those Scottish warriors fresh home from the wars, rugged, unmannered and totally…well…you know. Then there is Megan not enjoying being pursued by the less than honorable Sir Fletcher, a man she loathes but her parents seem to think is suitable. When Megan meets Hamish, The Duke of Murdoch, they have an immediate rapport, she is fascinated by the man who society whispers is a violent murderer. He is enamored of the woman who seems not to mind his reputation and needs his assistance to remove Sir Fletcher from the picture. Once again Grace Burrowes gives us a lovely romance with a hero who is troubled by his military service and a feisty woman who is determined to save him from himself. This is a trope not unlike others Ms. Burrowes has written but each time we are made more aware of her grasp of the Napoleonic Wars and the aftermath. We are treated here to that terrific Windham family that hooked us on Grace Burrowes romances starting with THE HEIR. Now she starts a series with female cousins to the Windham siblings. Those handsome, honorable Windham lords still play a role in the lives of the Windham brides. We are given Windham family Trees at the beginning of the book so we don’t ever get lost in the relationships. I highly recommend this book. You can’t go wrong for a wickedly witty, lusciously romantic book with a loathsome lord thrown in to muddy the romance. Grab this, book #1 in the Jaded Gentlemen series, for FREE on Kindle and Nook. You can’t go wrong with a Grace Burrowes book. It’s a dog’s life… Will Dorning, as an earl’s spare, has accepted the thankless duty of managing his rambunctious younger siblings, though Will’s only true companions are the dogs he’s treasured since boyhood. When aristocratic London is plagued with a series of dognappings, Will’s brothers are convinced that he’s the only person who can save the stolen canines from an awful fate. But the lady’s choice… Shy, bookish Lady Susannah Haddonfield has no patience with loud, smelly beasts of any species, but must appear to like dogs so as not to offend her sister’s only marital prospect. Susannah turns to Will, an acquaintance from her most awkward adolescent years, to teach her how to impersonate a dog fancier. Will has long admired Susannah, though he lacks the means to offer for her, and yet as they work together to rescue the purloined pets, it’s loyal, dashing Will who steals Susannah’s heart. I loved this book!! Even though, like our heroine Susannah, I’m not a dog lover. (Yes, I’m a cat person at heart.) The story revolves around dog training which I found fascinating and I’m always excited when I learn something in a book that also keeps me turning pages until dawn’s early light. Will, is our hero and his name is short for Willow. He has brothers named Sycamore and Ash so some one of his parents must have been fond of trees. Being the second son, Will must make his own way in an aristocratic world that frowned on aristocrats in trade. Will gets around that by being the breeder/supplier of dogs to aristocrats and then helping the new owners to train the dogs. Will’s brothers are also “true gentlemen” and his interaction with them adds so much depth to the story. Another very important side character is Georgette, Will’s dog. Will falls in love with Susannah who is in London to chaperone her sister Della’s come-out in society. Susannah, had thought her life would be that of a spinster after her own debut was maligned by bullying mean girls. But Will had come to her rescue back then and here he was again coming to her sister’s recue when more bullying and gossip threatens Della’s chances on the marriage mart. There are some surprise twists, a very evil villain and a heroine determined to seduce our hero. The romance here is heartfelt and slow building. The villainy is truly evil and the surprise really deserves another novel from the very talented Grace Burrowes. I fell in love with Sycamore, also known as Cam, and would love to see him as a book Hero. Yes this book gave us so many characters to love and I would love to have more of each of them. Do yourself a treat and don’t pass up this wonderful read. An Honorable Life Daniel Banks is a man of the cloth whose vocation is the last comfort he has left-and even his churchman’s collar is beginning to feel like a noose. At the urging of family, Daniel attempts to start his life over as vicar in the sleepy Kentish town of Haddondale, family seat to the earls of Bellefonte. Challenged by Passion Resigned to spinsterhood, Lady Kirsten Haddonfield welcomes the new vicar to stay at her family’s home while his is under renovation. Suddenly the handsome visitor has Kirsten rethinking her ideas about love and marriage, but a dreadful secret from Daniel’s past may cast a shadow too long for either of them to overcome. Romance fans rejoice once again. Grace Burrowes is not only prolific but gives us THE BEST romances to fall in love with. I swooned over book #1 in this series, Tremaine’s True Love, and this one is scrumptious also. This is a standalone novel but I encourage you to read the Lonely Lords series also. Daniel Banks is saddled with a marriage to a witch of a woman. They are estranged and she is behind the scenes plotting his destruction. Kirsten has reason to believe she is infertile and has broken off two engagements. Now she is resigned to spinsterhood, that is until she falls for Daniel. This seems to be a problem that cannot be solved, especially in the Regency Era when there was scandal surrounding divorce and annulment. You will rapidly turn these pages to discover how a happily-ever-after can be accomplished. And there will be some surprises along the way. We have all of those delightful Haddonfields who add to the story. Nita is away on honeymoon but the other sisters are on hand. The Earl and brother George play important roles as well as Viscount Fairly, Daniel’s brother-in- law. There is the addition of a passel of “rotten boys” who are a delight. I think you will be surprised at Daniel’s true desire. No, no, that’s all the hints I will give you. Now go, buy, so you can start reading this delight as soon as it is available. FREE now on Nook and Kindle but I don’t know for how long so go and grab it now. Below is my review from March 2014. I loved this book! Oh yes! Being a fallen woman is no fun at all in Regency England. But being able to honor your responsibilities and have food on your table requires a woman to forgo many respectable employment opportunities. So it happens with Letty Banks. Lucky for her she meets up with David, Viscount Fairly, and he employs her as a Madam in his brothel. Not respectable but she does not have to “go upstairs” with any customers. This final installment in Burrowes’ Lonely Lords Series is the most gut wrenchingly emotional of the entire series. I confess I went through many tissues while trying to turn pages and find out how the happily-ever-after would come about. 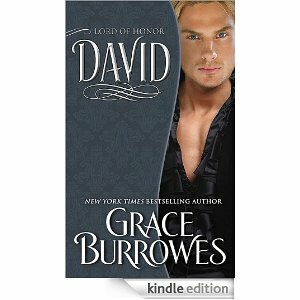 I have loved David through Burrowes’ series and I wanted him to find love. Letty is a very sympathetic paramour. If you have been following this series then you already know what wonderful dialog and characterization you are in for. I look forward to more, more, more from Ms. Burrowes’ pen. Two Novellas of the Windham series by New York Times bestselling author Grace Burrowes, for the first time in print. THE COURTSHIP The first novella to be published by New York Times bestselling author Grace Burrowes features the foundation story for her bestselling Windham series. This is the tender story of love tested and won, and how Percy Windham, the dashing and brilliant man who was never supposed to become the Duke of Moreland, wooed Esther Himmelfarb, the amazing lady who became his beloved Duchess. Two novellas that read as one novel. That is the way I suggest you read this book. Once again Grace Burrowes gives us insight into the lives of the family of the Duke of Moreland, those delightful Windhams. If you have read the series then you will certainly like this look back. If you are new to the Windhams then this is the place to start before you travel on to the first official book in the series THE HEIR. Whenever I read a Burrowes historical romance I’m whisked away to the time period of the novel. Burrowes has a magical way with dialog that puts the reader smack-dab into the era. The romance is brimming with sizzling chemistry. I fell in love with Percy who is handsome, charming, loyal and dependable. 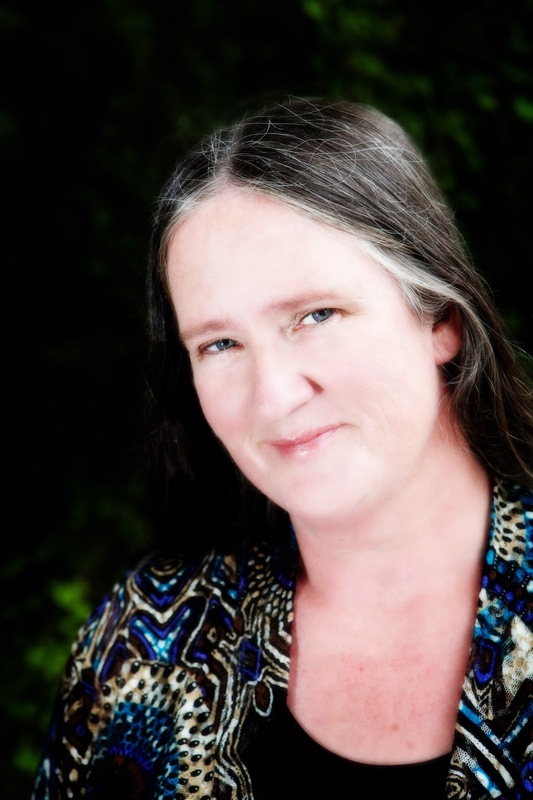 Esther is spirited, intelligent and passionate. They are devoted to each other and their family. Now, I want to reread the entire Windham series because I fell in love with them all over again. This book starts the series in the Georgian Era but the remainder of the series is in the Regency Era. Tagged as 2015, Giveaway, Grace Burrowes, Historical Romance, Tremaine's True Love promo, What makes a Gentleman? He’s had everything he could ever want…until now Wealthy wool magnate Tremaine St. Michael is half French, half Scottish, and all business. He prowls the world in search of more profits, rarely settling in one place for long. When he meets practical, reserved Lady Nita Haddonfield, he sees an opportunity to mix business with pleasure by making the lady his own. If you have read books by Grace Burrowes then you will recognize the Haddenfield family from Burrowes’ Lonely Lords series. Nita is one of Nicholas’, Earl of Ballefonte, sisters. His other sisters are Della, Susanna and Kirstin all of whom will have their own story in this new True Gentlemen series. Tremaine St. Michael arrives at Nicholas’ estate in order to negotiate business for a herd of Nick’s precious merino sheep. Nicholas is bent on matchmaking one of his sisters with St. Michael. There is some back and forth negotiations with St. Michael not going along with the matchmaking until he gets caught up in the lives of the Haddenfields and totally falls for Nita. Nita falls for Tremaine but there are obstacles and a side story that involves the entire family. This is a most complex and riveting novel. I have to say that Grace Burrowes is at the top of her game with this delightfully, insightful and compelling novel. She has us holding our breath through hair raising scenes and moments of terrifying events. The romance is so very believable in its slow development with realistic dialog and breathless love scenes. We are given in depth looks at each sister so that we look forward to their romantic stories. I highly recommend this book to all romance fans. This one is truly at the top of my best-of-2015 list. P.S.- Isn’t that the most romantic cover?? ?